One of the easiest way to etch a printing plate is called dry point, where you basically draw on the softer metal of the plate with a sharp steel point, creating grooves in the plate. These never last very long, I only got half a dozen prints out of it (I did 2 editions, 3 each of the black and white, below, and the color, above), but there’s something very satisfying about working directly with the material this way. 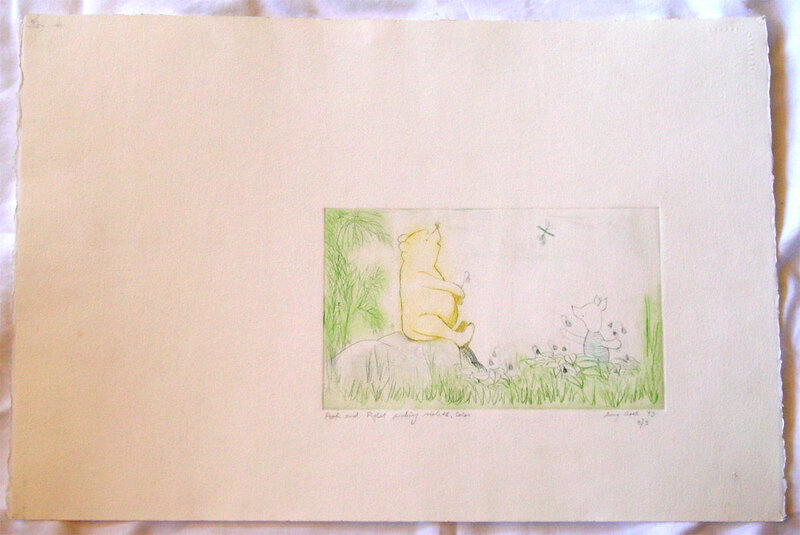 The color edition was created by carefully rubbing the inks just into the parts of the plate where I wanted them, and then taking care not to overly clean off the excess, leaving the soft glow of yellow on Pooh bear, as well as the gentle shading on the greenery. This was actually my very first attempt at printmaking, and I wasn’t sure what to do, so I drew two of my most favorite characters. 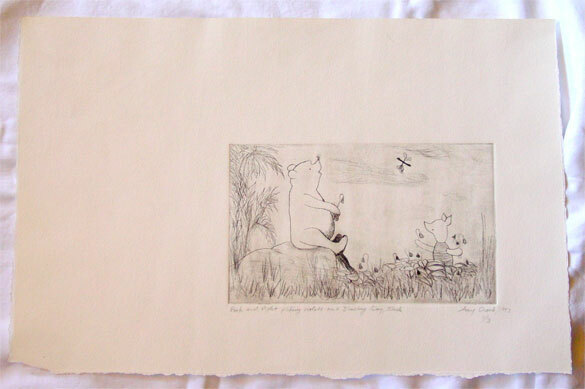 I’ve given away the rest of the edition so I only have the two examples left, which I’m choosing not to sell because of the copyright still surrounding A. A. Milne’s wonderful characters. 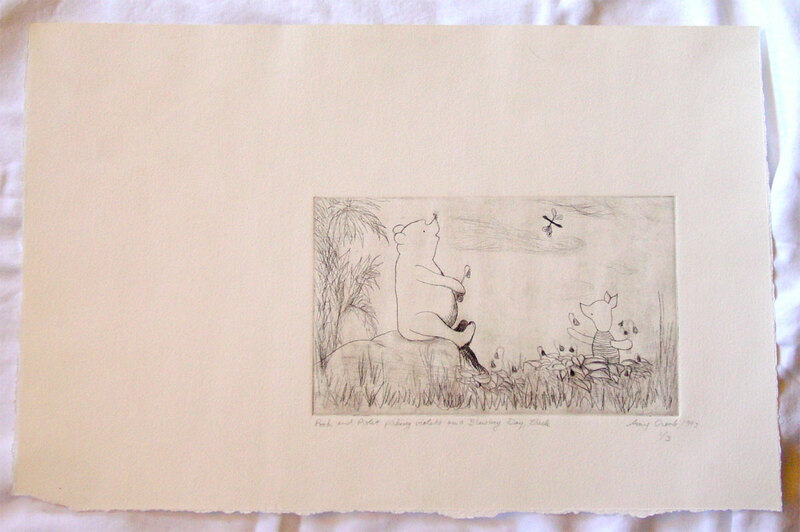 Pooh and Piglet Picking Violets, 10″x6″ etching on watercolor paper, not for sale. Not for sale? Woe. Too adorable.